Defence Minister Nirmala Sitharaman said that statements like the one by Pakistan PM, come around at the time of elections in India. New Delhi: Calling Pakistan PM Imran Khan’s statement- ‘India-Pak have a better chance of settling Kashmir issue only if Modi’s BJP wins’, a ploy by the Congress, Defence Minister Nirmala Sitharaman said that such statements come around at the time of elections in India. She added that it comes as no surprise as there have been eminent Congress leaders who’ve gone there to seek help ‘Modi hatane ke liye madad karo business’. Sitharaman also reacted to Pakistan Foreign Minister, Shah Mahmood Qureshi claiming that India will strike between April 16-20 and said she finds it ‘fanciful’ as well as ‘amusing’. She added that she has no idea from where he got this date and wished Shah good luck for the same. 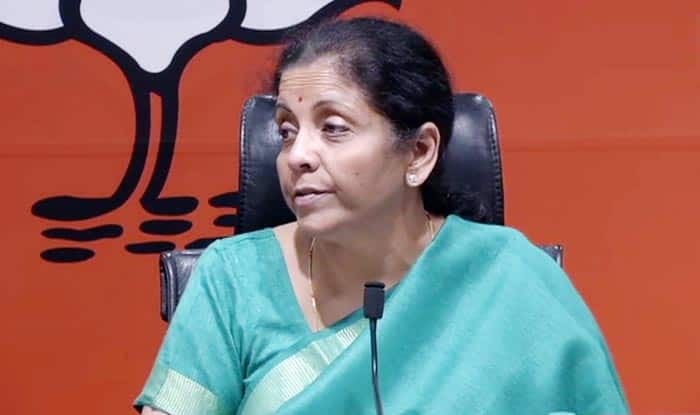 Reacting to the controversy surrounding on the politicisation of armed forces, Sitharaman made it clear that she was against the same but clarified that the government’s course of action regarding the Balakot airstrike did not amount to politicisation. She went on to call it the ‘strong political will of the of the government’. Speaking on the letter written to President Ram Nath Kovind by veterans of the Indian armed forces expressing concern over the matter, the Defence Minister said that the issue was lost after some of the senior retired personnel named in the letter said they “neither signed it nor were a party to it”. More than 150 veterans of the Indian armed forces reportedly wrote to Kovind uring him to “take all necessary steps to urgently direct all political parties that they must forthwith desist from using the military, military uniforms or symbols, and any actions by military formations or personnel, for political purposes or to further their political agendas”. Addressing the issue of why the international media isn’t willing to believe India’s explanation on Balakot airstrike, Sitharaman added that things speak for themselves as subsequently, Pakistanis themselves claimed there was an attack.